K-Kids is part of the Kiwanis Family for children in Elementary School! K-Kid’s mission is to service the community, build character, and develop the leadership skills of our generations youth. Being a K-Kid lays the foundation for strong workers and community members who will one day be leaders of society! 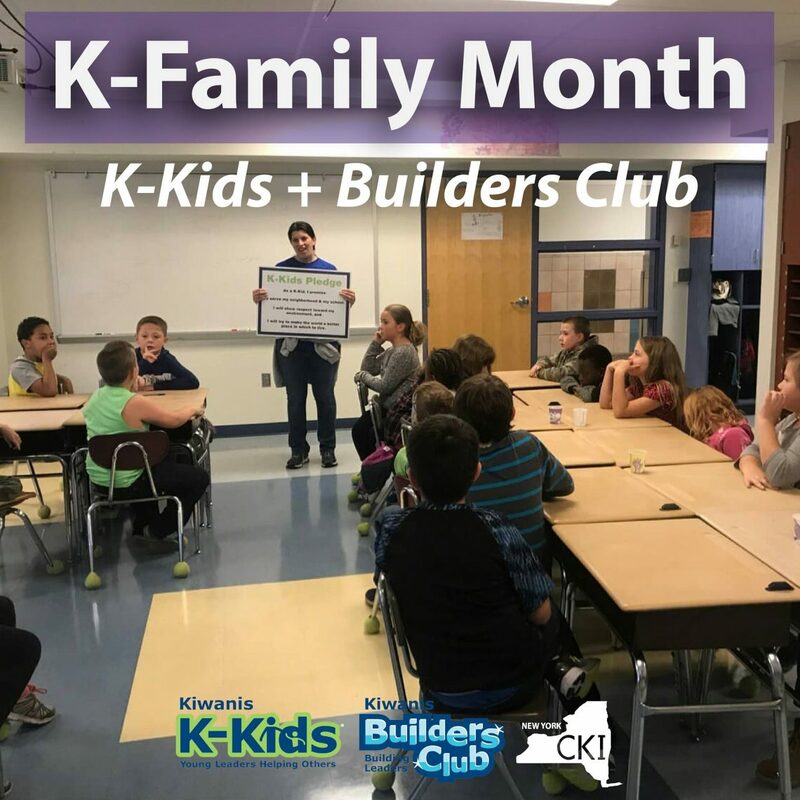 Builders Club is the Kiwanis Branch for Middle schoolers! Being in Builders Club means you are developing Builder’s Club helps student’s maneuver through this transition stage of life by encouraging individuality, teamwork, and taking action all while participating in service events such as recycling and HIV/AIDS prevention. If you’d like to get involved with your local K-Family clubs, reach out to the Alumni and Kiwanis Family Relations Committee Chair, Alaina Hinkley at alaina.hinkley@nycirclek.org for more information!